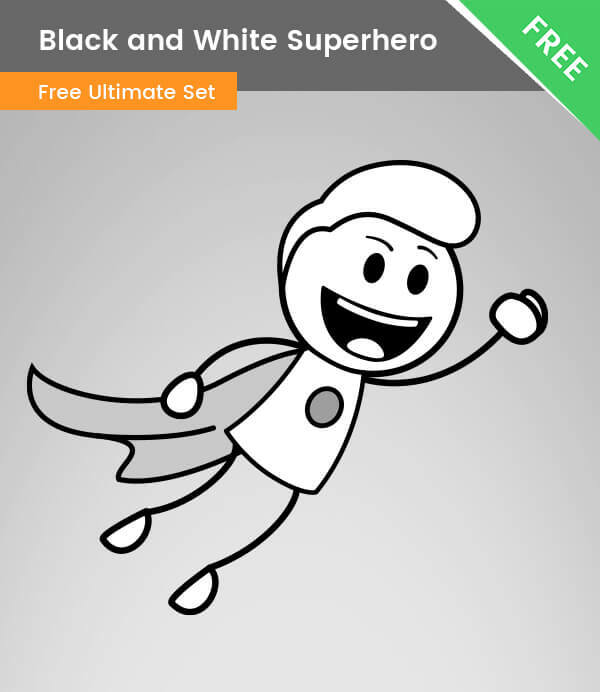 A flying superhero clipart made with black and white colors. This illustration is perfect for modern outline designs and it comes for free. This cute doodle character is perfect for minimalistic designs, it is made in a black and white style, but because we’ve made the character of vector shapes, you can easily modify the colors to fit your needs.